Christmas tradition for many, many local families for more than 50 years. 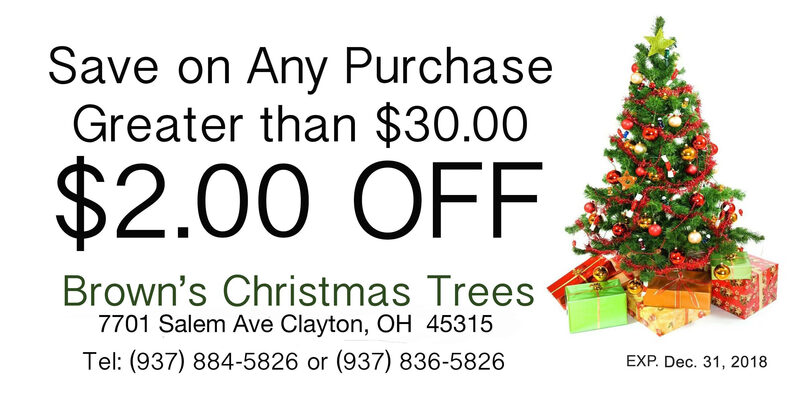 Come see our large, beautiful selection of Cut Firs, Pines and Spruces from 3’ on up to 14’. We have freshly made Wreaths and Roping to make your holiday decorating sparkle. Live balled and burlapped trees are also available for those families who enjoy the tradition of planting their Christmas Tree each year.